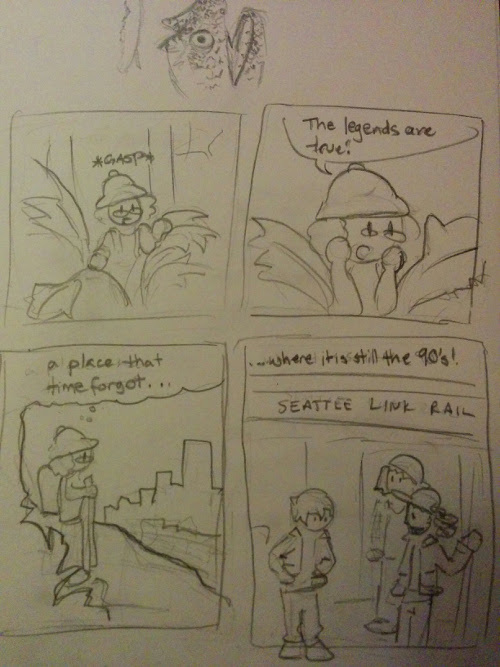 And my first mini-comic from my trip! I decided to leave in the sketch of the moray eel at the top to give it more of that sketchy feel. And yes, I legit saw a group of dudes wearing denim jackets and pony-tails and the like as soon as I got on the light rail. Of course we've all heard the rumors, but it's something else to experience it first hand.